There is a strong shift in the industry toward reuse of the existing software and hardware resources within the companies to minimize the IT cost. Instead of creating or buying a new solutions, companies are trying to build a set of reusable software components based on the existing applications. These components can be quickly assembled in many different ways to satisfy the business needs of the companies. This environment is based on service-oriented architecture (SOA) and solutions that support business process automation. 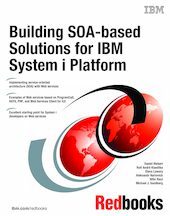 Parts of the book are appropriate for CIOs, system architects, and application developers.